Established in 1972 as an outgrowth of the successful Woodrow Wilson Humanities Series, East End Arts began as the East End Arts & Humanities Council, Inc, a resource for the local arts community with a commitment of supporting and advocating for the arts community. The history of East End Arts began in a space donated by the Riverhead Central School District in the Pulaski Street School. 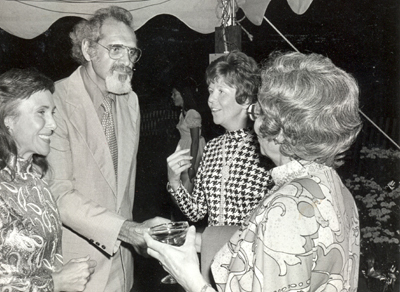 1974 - The first juried art show is held in the Gallery. 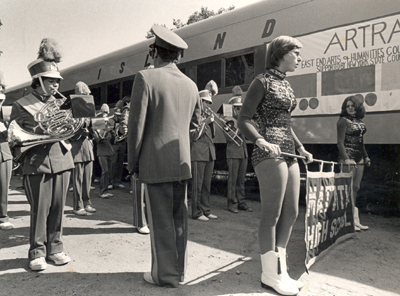 1975 - East End Arts & Humanities Council is recognized for its groundbreaking mobile art gallery ARTRAIN that brought world class exhibits directly to East End communities. 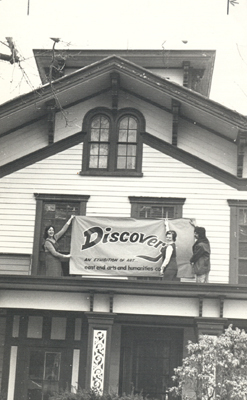 1977 - Riverhead Supervisor Allen M. Smith secures the agreement of Northville Industries to purchase the historic Benjamin-Corwin homes on Main Street and allows the Town of Riverhead to use them for community purposes. The Town of Riverhead invites East End Arts Council to inhabit the Corwin House, complete with exhibition and meeting space. 1986 - Harvest Gospel Concert Series is born. 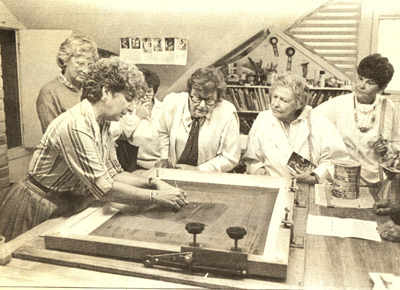 1995 - East End Arts assumes the management of the Eastern Suffolk School of Music, housed in the Benjamin House and expands programming to include the visual arts, theatre instruction and summer camps. 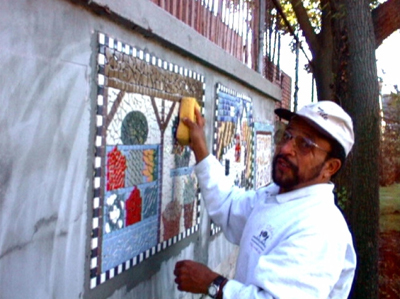 1996 - First year of the Community Mosaic Street Painting Festival, now a signature event. 2002 - Teeny Awards begins celebrating excellence in high school theater across the East End of Long Island. 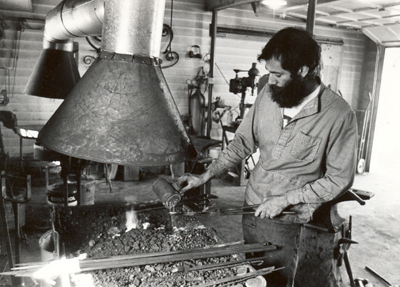 2007 - With support from Senator Ken LaValle, Assemblyman Fred Thiele and Assemblywoman Pat Acampora, the Carriage House takes on a new life as a working studio complex and artist residency to accommodate the growing program offerings. 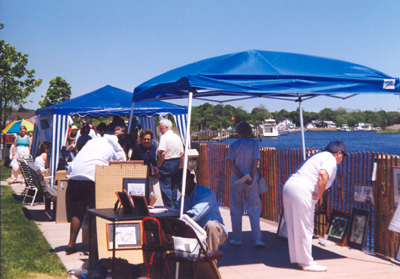 2007 - East End Arts works with Long Island Wine Council, LICVB, and Suffolk County to create a concert series to help drive the East End economy during the cold and quiet winter months, Winterfest Jazz on the Vine. 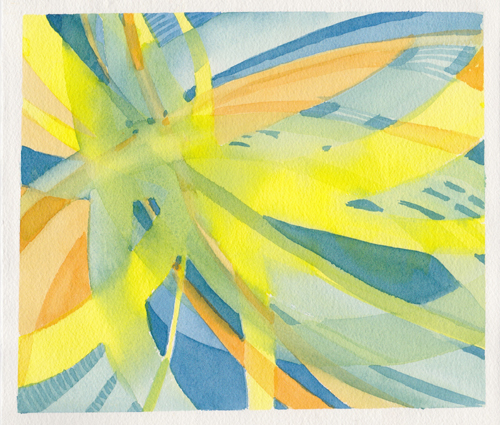 East End Arts continues to grow with two satellite locations: Brecknock Hall in Greenport, NY, and Rosalie Dimon Gallery at Jamesport Manor Inn in Jamesport, NY. Available Downtown Riverhead storefronts have been the site of public art exhibits, holiday window decorating, instruction and a dance party. 2011 - As East End Arts celebrates its 45th year, the organization is named Neighborhood Builder by Bank of America, a prestigious national honor and award presented to only 90 nonprofit organizations per year. 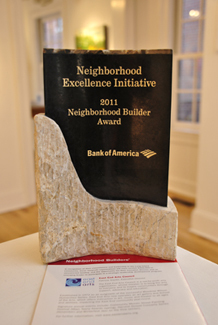 Bank of America defines Neighborhood Builder recipients as an outstanding organization focused on local neighborhood priorities. This award is presented at a critical turning point for East End Arts, as the organization moves forward to present the arts in our community for another 45 years, and beyond. As a 501(c)3 not-for-profit organization, East End Arts relies on public and private foundation grant funding, as well as individual and corporate contributions to continue presenting arts opportunities to our region.